Half Term is over. Today begins the countdown to Easter, and the return to school (and if you took time off to be with the kids, work). First days back after an exciting week of exploring all the activities London had to offer this Half Term are hard. So we thought we’d share with you a little trick to keeping you (and the kids) occupied during your commutes across our capital. 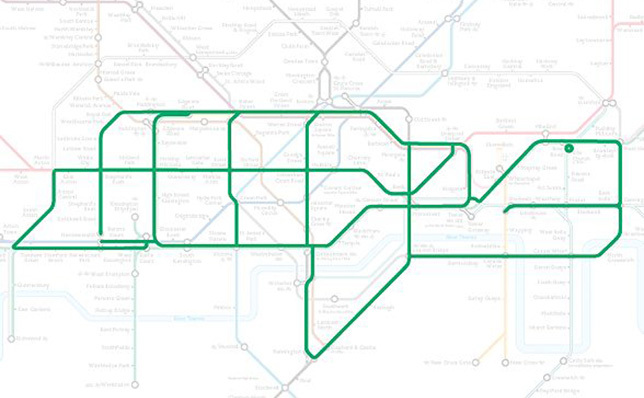 Animals on the Underground is an art project/ curiosity started by Paul Middlewick in 1988 while he was staring at the tube map on his way home from work. As famous as the black cabs and double-decker buses the London Underground Map is a design icon loved for its bright colours, striking design and unique style. 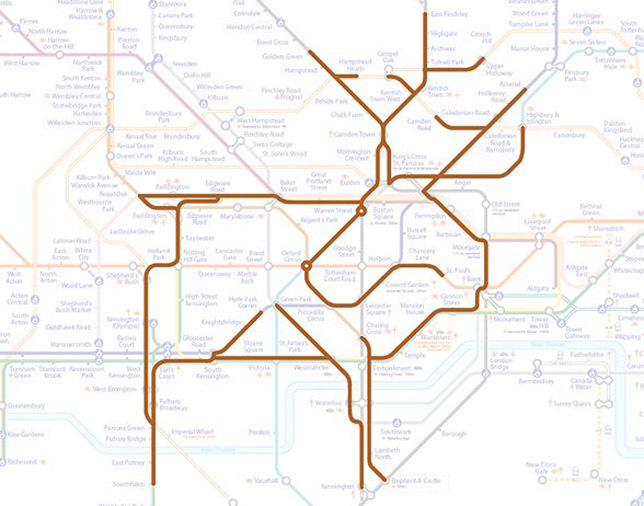 When most people look at a tube map they see a pattern of colourful lines that helps them see where they’re going and how they’re going to get there. But on that commute, Paul Middlewick discovered something, a hidden world of animals. 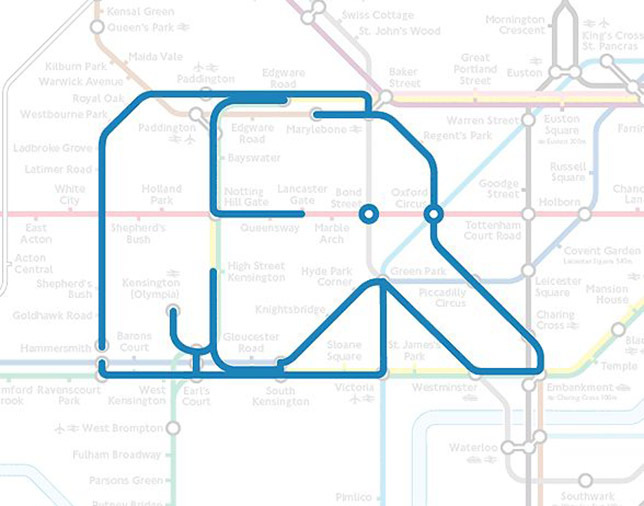 It all started with the discovery of a little elephant hiding in the middle of the Circle Line and now over the last 28 years it’s grown to 35 Animals and counting! Your challenge on your travels is to find them all, but to help here are our Top 5. 1. Barking the Dog – A playful animal captured here taking a quick jump from the DLR to the central line. Thought to be of the Scottish Terrier breed. 2. Bayswater the Turtle – A recalcitrant fellow this turtle just wants to be left to his travels on the slipstream that is the London Underground. 3. 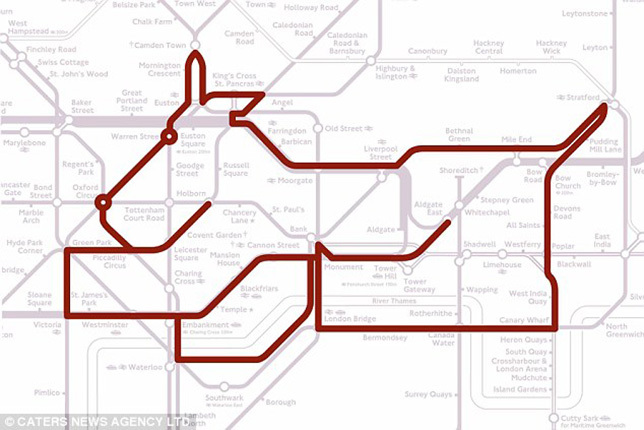 Caledonian Road the Reindeer – This proud animal stands tall covering the map from Southfields to East Finchley it trots through the capital, its destination unknown. 4. Angel the Angel Fish – A happy little fish complete with air bubbles! 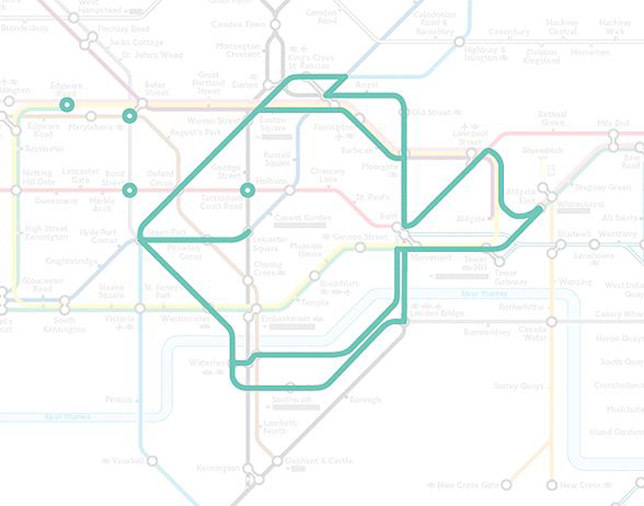 content to swim along the river that is the Victoria Line rather than The Thames. 5. Elephant & Castle the Elephant – This list wouldn’t be complete without the one that started it all, this shy little elephant was the first of its kind.